I absolutely love this time of year. Summer is in full swing while sports fans start to salivate over the idea that their Saturdays and Sundays will soon be taken up by football. 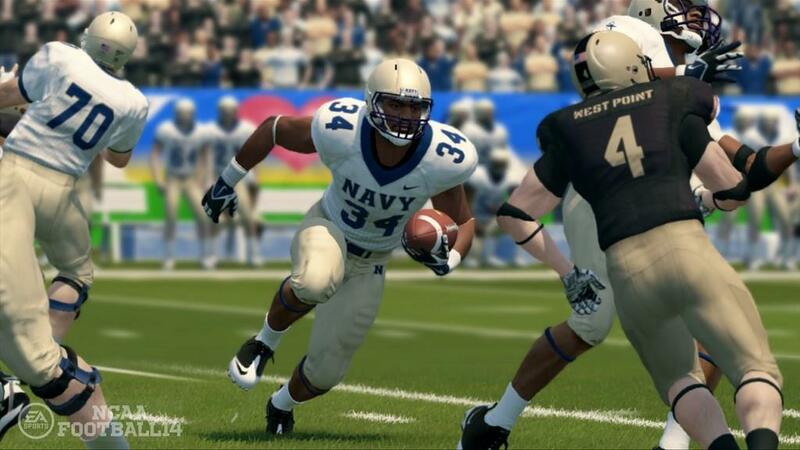 NCAA Football 14 is back for another installment and the team over at Tiburon and EA Sports have gone all out this year to give the most detailed version to date. The question, though, as it seems to be every year: Is it just a yearly reboot, or does the game actually have the teeth to warrant an update to the collection? Let's find out! 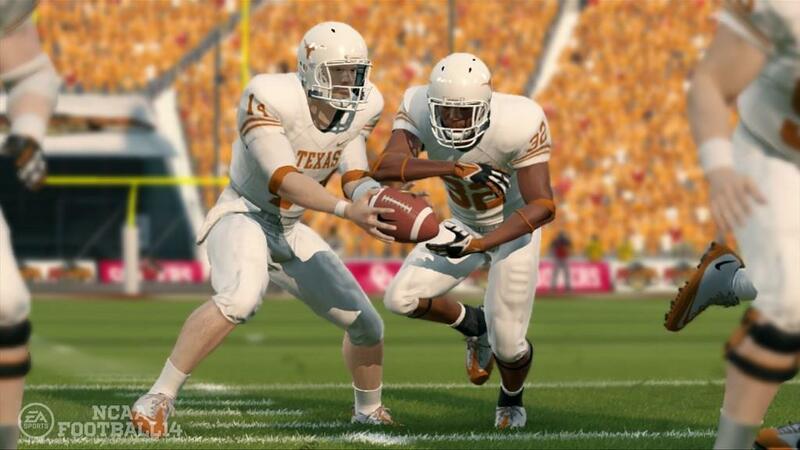 Starting out with the gameplay, Tiburon went back to the drawing board to create a brand new engine for this year's experience in the collegiate ranks. 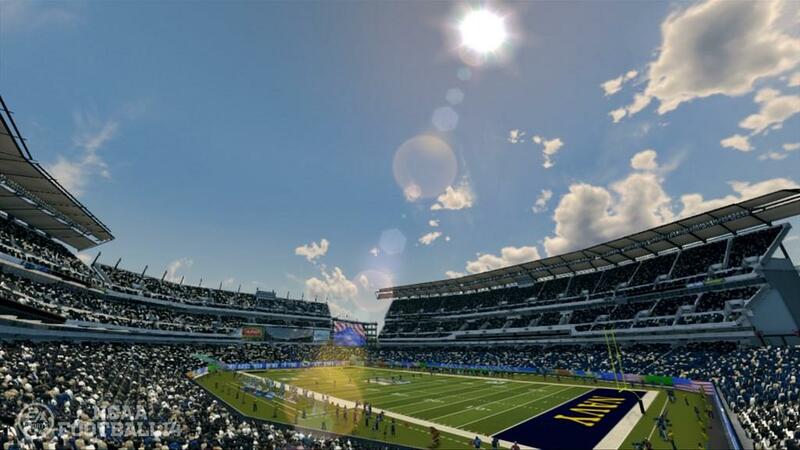 The Infinity Engine 2 is built upon what was put in place last year and improved to get rid of all the little issues that players experienced, such as the issues of running into the back of an offensive line that had no holes, yet the player basically go run unhindered without falling over. Those days are now gone, as making contact with the players on the same team will result in, at minimum, a loss of balance. The players in the game that don't have the stats to keep on their feet will end up tripping and falling over, which is definitely more accurate than what we've seen in the past. However, that isn't the best part of this new engine. Dubbed the Force Impact system, all factors are taken into consideration on impacts between players, such as speed, momentum, size, etc. In previous years, a created player could be 180 pounds and have high strength, giving him the ability to bowl over a 240 pound linebacker, which you might see once a year, but should not be a common occurrence. The physics in this year's title is vastly improved and truly feels the most realistic. Every year, the landscape of football seems to change. New offensive styles are introduced and, sometimes, brand new offenses emerge from an upstart coach. This year there weren't too many additions of brand new formations at all, but it seems that the focus for this year is building upon what is truly the rage in college football: the Spread Option. I'd like to think that when the Triple Option was introduced in the 1950s by Don Faurot in the form of the Split-T formation, he had no idea that the offense would evolve into what it is today. Sure, coaches like Paul Johnson at Georgia Tech live and die by the Flexbone Option, but when looking at the landscape of the sport, there are numerous teams that are practically living in the Shotgun, yet running the ball as much, or more than, they pass. 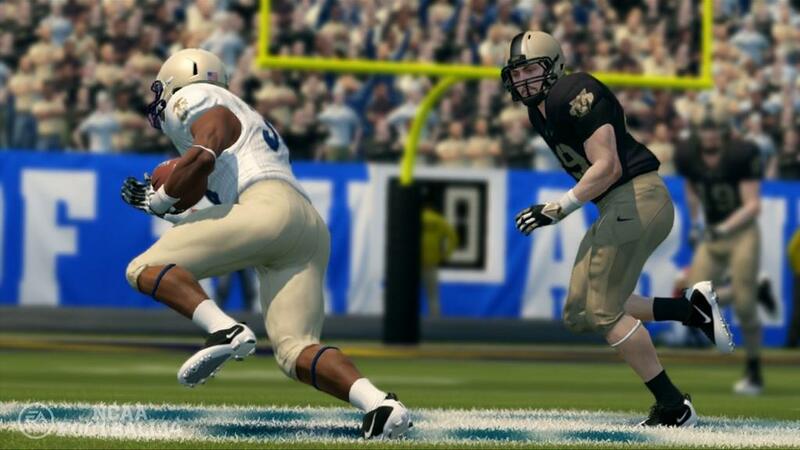 In NCAA Football 2014, the developers seem to recognize this and have given plenty of love to the Spread Option. Introduced this year are the Inverted Veer and Shovel Option plays in various forms, using running backs, wide receivers, fullbacks, and even tight ends. 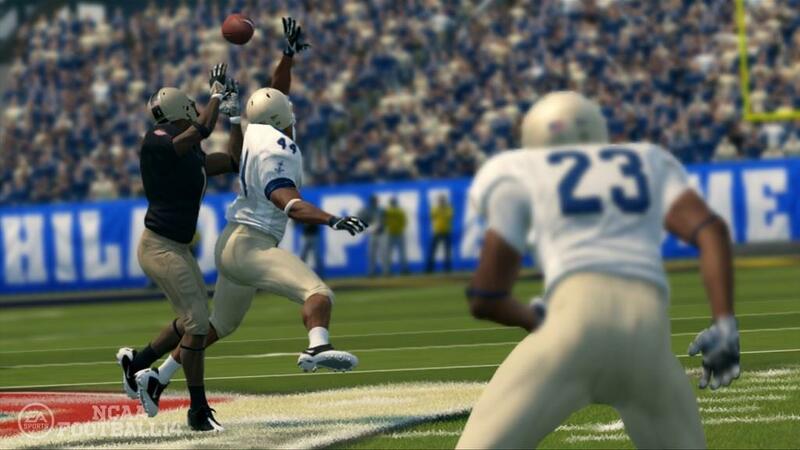 The variations offer plenty of choices for a player to utilize, especially with the ability to create a custom playbook yet again. The result of these additions give a player one of the best experiences under center that a college football fan has had at their disposal. The blocking is much smarter, the defenses play more difficult, and no longer are CPU teams pushovers, especially on evenly-matched teams. There are some minor issues along the way, though, as I've found that some of the animations tend to glitch a bit in tightly packed places, especially when stuck in the trenches. 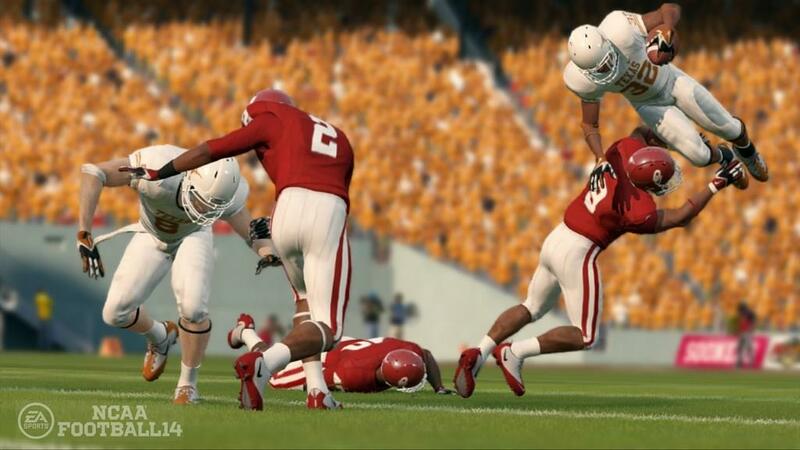 I've also noticed that, while I love the fact that a player is now no longer down just because they are laying on top of a player, sometimes it goes to ridiculous lengths and that the CPU will just stand around when the player lays down, allowing him to get up and take off. Play to the whistle needs to be taught to the AI, apparently. The Dynasty mode has gone through some hefty changes as well. After a few years of the fans asking (see: begging, pleading, praying) for the slot machine system in recruiting to take a hike, those players finally got their wish last year, but there were still some tedious problems in the amount of time per phone call spent and the length of time that it took to do a full recruiting session. These modes are now ancient history. They have been replaced by a simple points system to speed things up. The factors of the school and coach are already put in place and it is up to the coach to perform in games to gain point bonuses to get an edge on other schools. It does make things a bit more realistic and, in the offseason, a player can decide to go all out on one high school player in the final push to get him to sign, or balance it out and try to get multiple signings. In my time playing online and being in a couple of dynasties, the feedback is pretty mixed. Some think it might be too simplistic, while others appreciate that recruiting is now much easier and actually controllable by a player instead of a slot machine. The other major addition to Dynasty mode is the introduction of coaching skill trees. Much like skill trees in MMO-style games, these trees offer a boost in player skills or a boost in recruiting abilities, though coordinators will only get to build up their side of the ball and have zero effect on recruiting. This makes recruiting a bit different in the early stages of a dynasty since the player will be relying on the head coach's current skill tree instead of their own. The growth of the coach can be set at five different levels, though I believe the "Slow" or "Normal" options are the best to go with. Anything beyond that and a coach gets experience points in games far too easily. A quick hit on the popular Road to Glory mode: Very little has changed. Last year was RTG's turn for a huge facelift and, to the credit of Tiburon, they left it pretty well in tact and let the gameplay improve the mode itself. 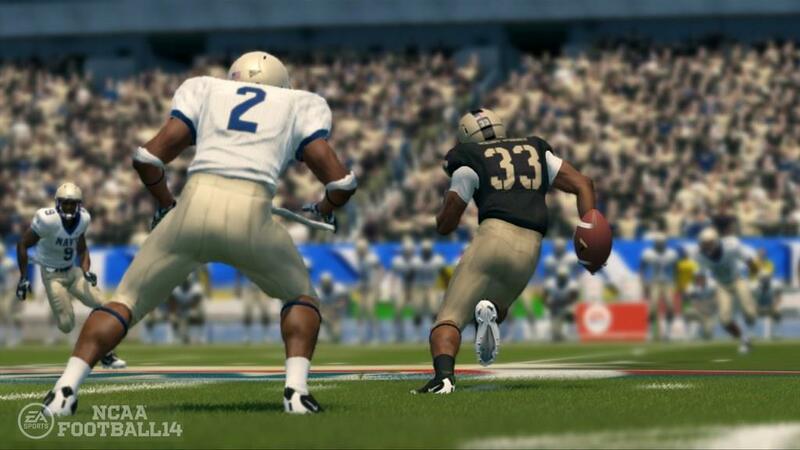 Ultimate Team has made its way to the ranks of NCAA Football in the form of players from the past in varying levels, whether they be marginally good players or full-on Heisman Trophy winners. I've enjoyed my time in Ultimate Team as it gives a player what they want: The ability to earn and customize their full roster, quick games against opponents (time limit against other users is set to three minute quarters), and the trading aspect that Ultimate Team is known for. However, I feel that while it's fun, it is truly lacking difficulty in this title. I will always stand by my thoughts in that Ultimate Team is the best on FIFA, considering the vast amounts of players and how truly unique they are. 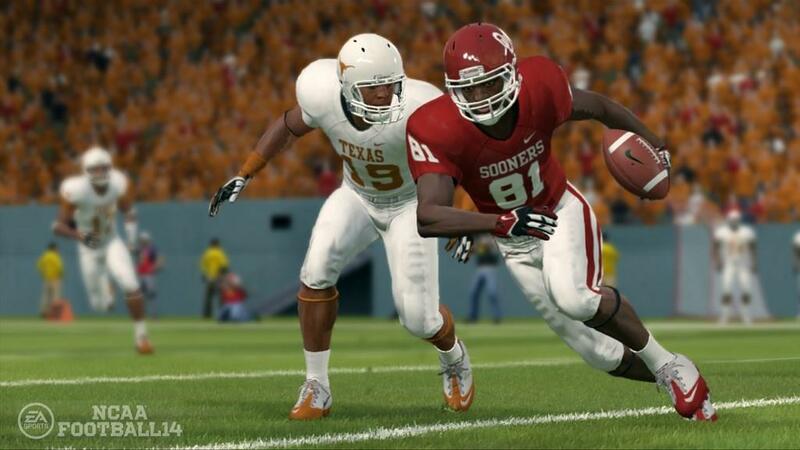 The issue with doing it in college football is the same problems one runs into with Madden: In the end, there are too many players that are just too similar in statistics, and it's very easy to get a heavily stacked squad. After just a week of playing, I saw fully stacked teams with Heisman winners all over the offensive side, and defensive squads that were full of 90+ rated players. Ask any FIFA veteran how long it takes to build a squad that is just in the low to mid 80s, and those same players will scoff at what is in NCAA or Madden. Don't get me wrong: It's still a lot of fun, but it's really easy to get a great team, and that's a lot of the fun taken out of Ultimate Team. 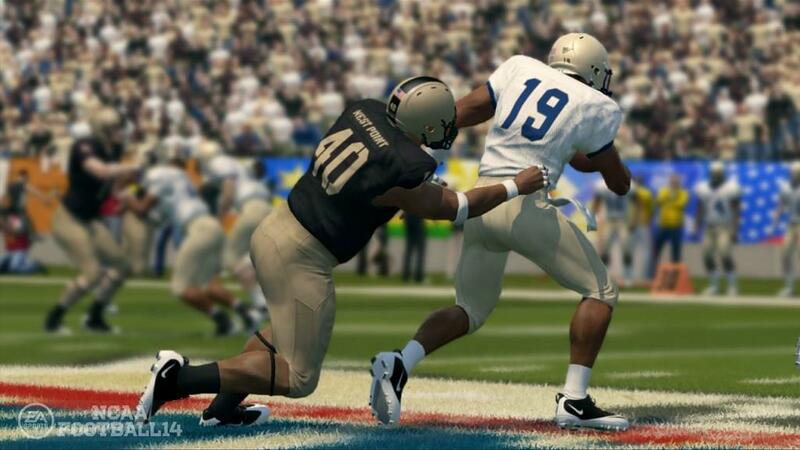 All in all, NCAA Football 14 is exactly what I expected when I read about the changes being implemented: Solid changes to the gameplay and working towards improving the realism on the title itself. 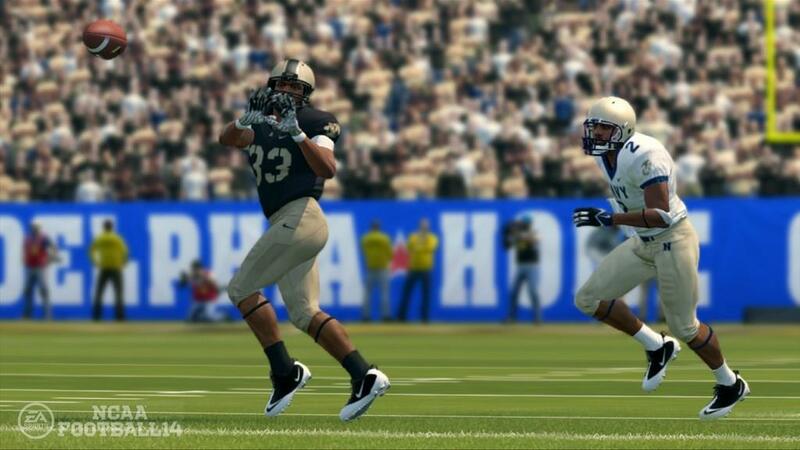 The necessary changes to Dynasty mode result in a more enjoyable experience that doesn't require a ridiculous amount of time dealing with vast amounts of time recruiting and changes are made on the fly. Even though there are still some minor problems with the gameplay, it's the most realistic engine yet. Ultimate Team desperately needs a difficulty upgrade when it comes to getting players, but still has some fun to offer. 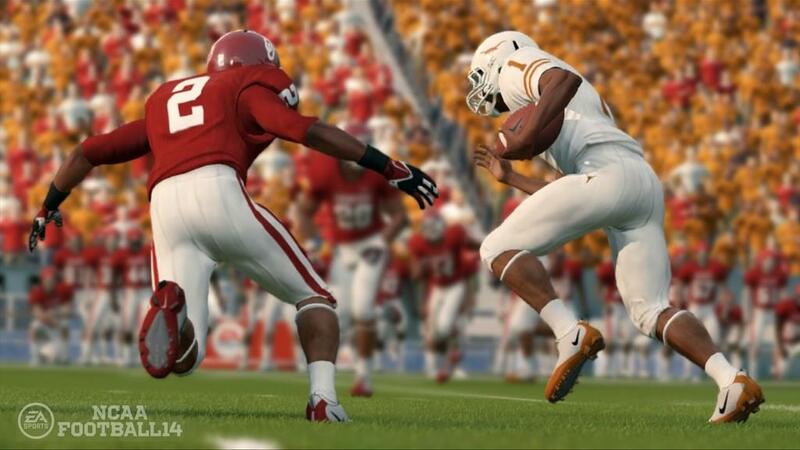 The game is a pretty complete one, and should be a first option for football fans craving their fix. 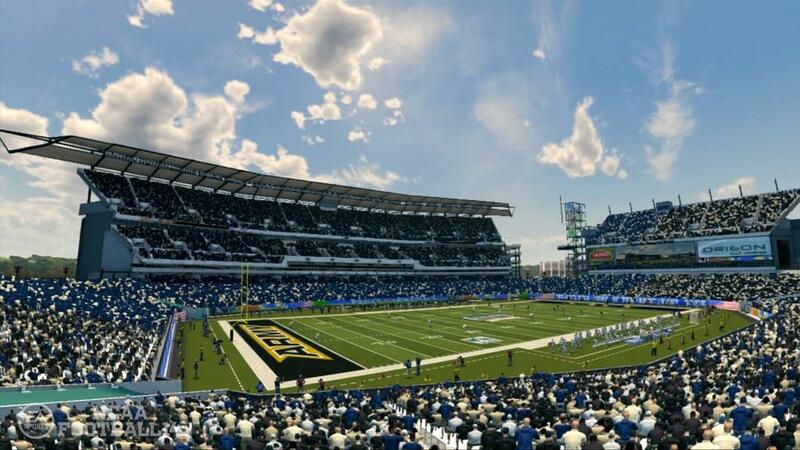 The Infinity Engine 2 has taken the NCAA Football gameplay to a new level of realism, and with the improvements to the Dynasty mode, even the lack of depth that Ultimate Team suffers from can't hinder the fact that this is arguably the best title in the franchise series.